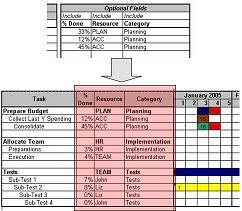 Fancy that Project Style calendars but don't have a project management software? If you have Microsoft Excel, you can now generate Project style calendar plans, just by entering the tasks and associated data like it's name and the starting and end date. Use different colors and select a deadline terminator for each task. Indent each task to its level or sub-level. Really easy to use, just fill in the values in the Input Cells and press the "Run" button to create several different styles of Calendar Plans. 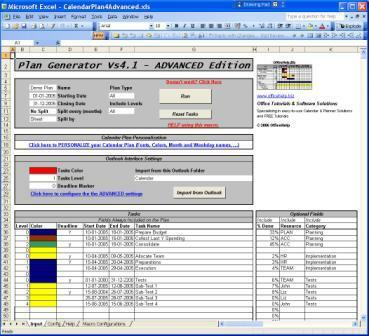 The system will generate a new workbook with the resulting Calendar (PICs. 2, 3, 4 and 5). This new workbook HAS NO MACROS on it, just the resulting calendar. Change, save and email it as any other regular Microsoft Excel file. FOUR types of calendar plan from the SAME task list! Weekly Calendar Plans are calendar plans with a column for each separated week in the calendar main interval. This gives less detail but produces compact calendars for larger periods. Better for larger periods, when the "big picture" is important. Monthly Calendar Plans are calendar plans with a column for each separated month in the calendar main interval. This gives still less detail but produces very compact calendars for larger periods. Better for larger periods (1 year and above). Very good for 1 year calendar plans with an overview of the main tasks. 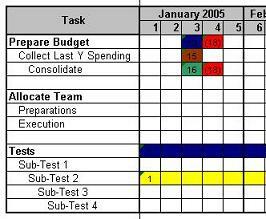 Yearly Events Calendars are a completely different concept: There is no task bars, just a 1 year grid (per year) and tasks attributed to each day. Better for important but short events like meeting and holiday calendars. 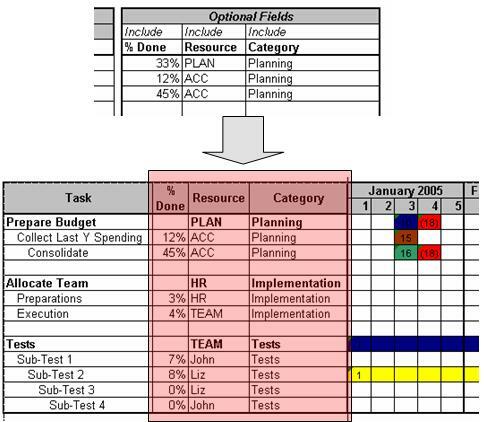 Spending full days manually making calendars or GANTT Charts? Spending hundreds on specialized software you don't know how to use? This easy to use macro for Microsoft Excel will generate pretty calendar plans in minutes. No need to learn new software skills. 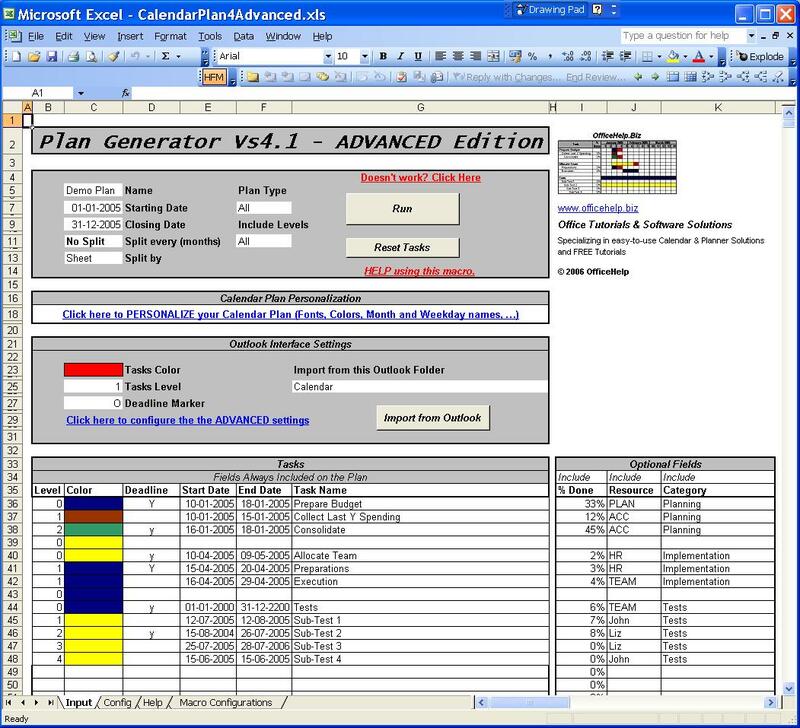 Get your Plan Generator now by using one of the BUY NOW buttons on this page. No software instalation or Setup Required! Standard Excel output - Anyone can edit the output, there is no macros on them! All Excel features like formulas or links to existing files can be used to input data! After payment at PayPal, you will get to a confirmation page with a link to download a ZIP file containing the macro Microsoft Excel file (CalendarPlan4Advanced.xls). Click on this link and save the file to your own hard drive. You will need to unzip it (extract the Microsoft Excel files from the compressed ZIP file). Microsoft Windows XP will let you do it directly, presenting the file as folder. On older versions of Microsoft Windows, you will need an extra application like the popular WinZip. Once extracted from the ZIP file, just open them with Microsoft Excel every time you want to use it. The DEMO version of other products can be also included for evaluation purposes. Header Column Widths (like the task names column!) can now be defined in advance so that you don't have to adjust each calendar output later. 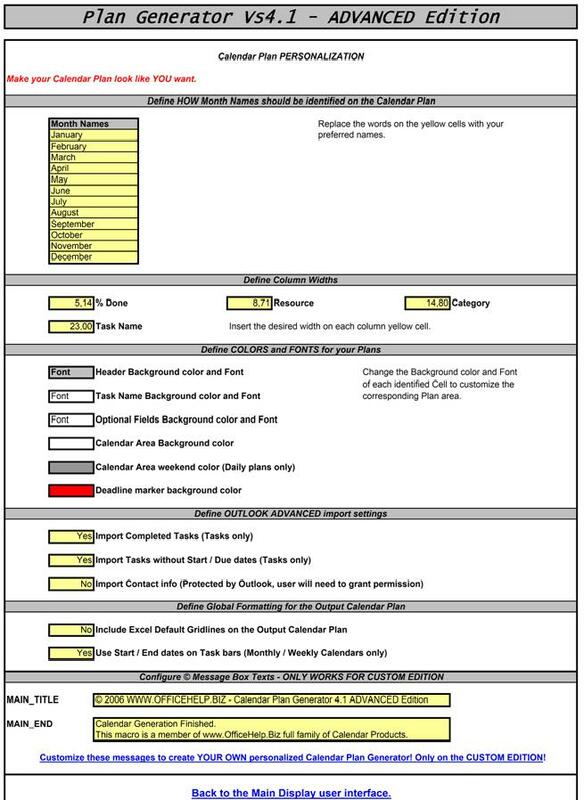 Global Formatting options like the use of Gridlines on the Output Calendar Plan or the insertion of the beginning and end dates on task bars (Weekly and Monthly Plans only). You can include/exclude up to 3 optional fields that are added as columns between the Task Names and the Calendar Plan (PIC 7). They are defined by default as % Done, Resource and Category, but can be used for any other purpose. Just change their name! Plans don't all need the same amount of detail (or sub-tasks). 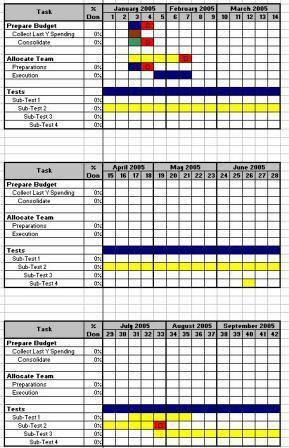 Long-term plans like monthly plans may include only the main tasks (Level 0 or Level 0 and 1) but Short-Term plans like Daily or Weekly may include all sub-tasks (PIC 8). Selection is made on the Include Levels option field near the Run button. WARNING: To be able to import Shared Calendars or Calendars/ Task List sub-folders, you need the more advanced CUSTOM Edition (click here). You can define Advanced settings for special cases on the macro CONFIG sheet. Check the Help Information for details. It can also be used to print Outlook Calendars or Task lists - Just import them, apply custom formats, create the calendar and print it. Yes. There are two sheets on the Microsoft Excel Workbook (PIC. 15). 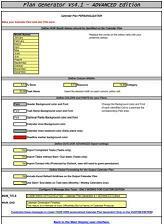 The first one is the Input sheet, the second is the Help one. There is also an Online Help Page for this product (see bottom of page for all related links). Link to the CUSTOM Edition - No coding, just enter YOUR own messages to replace our own branded messages and learn how to replace the logo, lock your changes (make them permanent) and distribute YOUR own BRANDED version of our macro! No coding! Check the licensing terms. Link to the Source Code Edition - Add missing features or adjust existing ones to your clients special needs. Supply it as your own product. Full access to the Macro source code. If you know Excel VBA you should have no problems understanding this macro. Check the licensing terms.